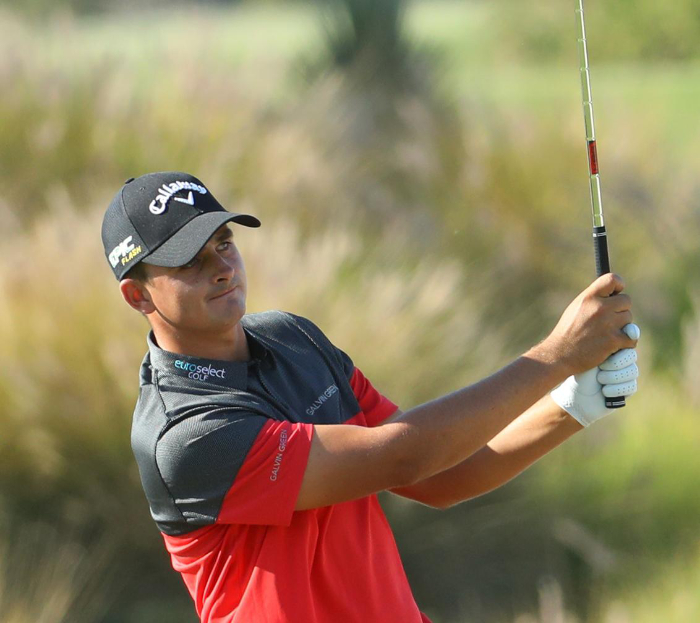 Christiaan Bezuidenhout, the South African star who finished tied-second at the Commercial Bank Qatar Masters last weekend, has become a brand ambassador on the European Tour for the UK’s EuroSelect Golf retail group. The 24-year-old, who has made an impressive start to the 2019 season and been a regular on the European Tour over the last two seasons, featured the EuroSelect logo on his Galvin Green clothing for the first time at the Doha Golf Club last week. Niall Horan, Co-Founder of Modest! Golf said: “We are delighted to further strengthen the relationship between Galvin Green and our business with today’s announcement of Christiaan’s partnership with EuroSelect. Christiaan is a very proud ambassador of Galvin Green and we look forward to seeing him represent the EuroSelect Group this season on the European Tour”. Director of Modest! Golf Mark McDonnell added: “We are thrilled that Christiaan has linked up with EuroSelect, as they have an incredible reputation in the golf retail market, having long been viewed as the leaders in providing advice, service and value to golfers across the UK. For more details of EuroSelect, please visit www.euroselectgolf.co.uk.